Even though Google AdWords is pretty powerful, for an online marketer and search engine optimizer one other tool is even more important: Google Analytics. Today I will show you how this tool can contribute to optimizing your website through setting up an A/B split test. I have been busy remodelling my website for months now. Every time I like a design, I find something wrong with it after a while. If you have different designs, different headings or simply different colors that you like, but you are not sure which one will lead to a better goal conversion, you can run a A/B split test before you decide on any of the two (or more) options. An A/B split test serves as a tool to compare two (or more) variations of a website, an article, title, subject line, etc. It is one of the most commonly testing options used in e-mail marketing. One of the major benefits of A/B testing is the fact, that it is automated. You chose the metrics according to which you want the winner of the test to be determined. Depending on the subject of your test, the winner will then either be sent out automatically (newsletter) or be shown more frequently (website). In that way you can make sure that even during the testing period you get the most out of your efforts. Now you know what an A/B test is and what you can do with it, but why is it important to run one before going live with your content? Sometimes your own taste can be very deceiving. While you might LOVE (and I really mean LOVE) the color pink on your website, most of your visitors are actually repelled by it. That might cause your bounce rate to increase dramatically. When you analyze your statistics you can see the increase in bounces, but you’ll be left with guessing as to why the bounce rate increased. That is where a split test can be helpful. 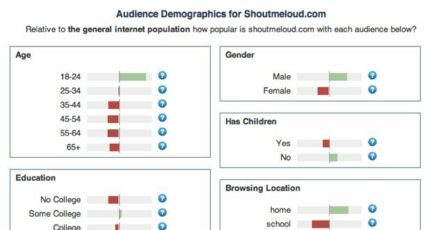 Ultimately this tool can help you increase traffic, CTR and conversions and reduce your bounce rate. 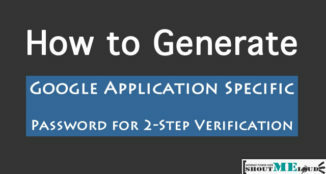 I will now show you how to use your Google Analytics account for setting up an A/B split test. It is very easy, so join me in the journey. 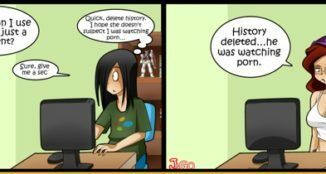 First you log in to your Analytics account. IF you haven’t set a goal yet, it is time to do so (under “Conversions” > “Goals”). Set your goal depending on the test you want to do. If you want to test which website design leads to more trial sign ups set your sign up URL as goal. 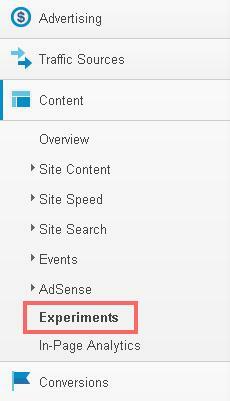 Set your individual goal and then navigate to “Experiments” in the “Content” menu tab. 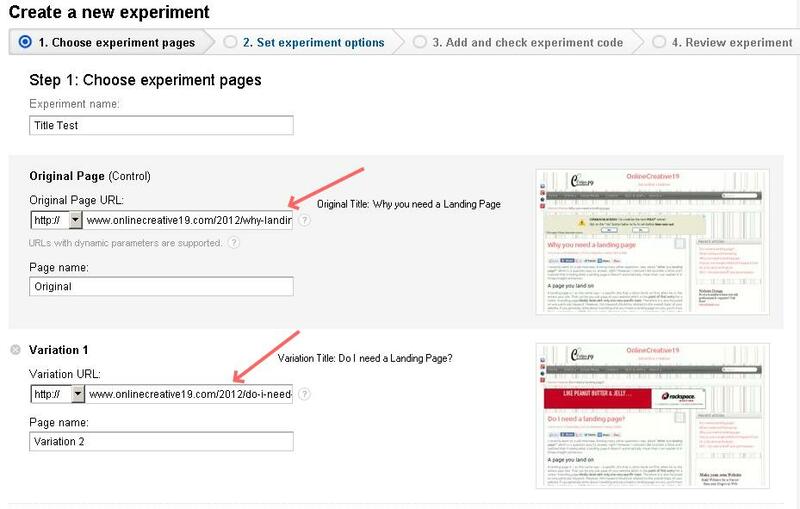 Click on “Create experiment” to start your A/B test. In my example I am comparing two titles to the very same article. I want to find out which title leads to a higher average time on the site. In the next step you set your objective (which is the goal that you pre-defined). 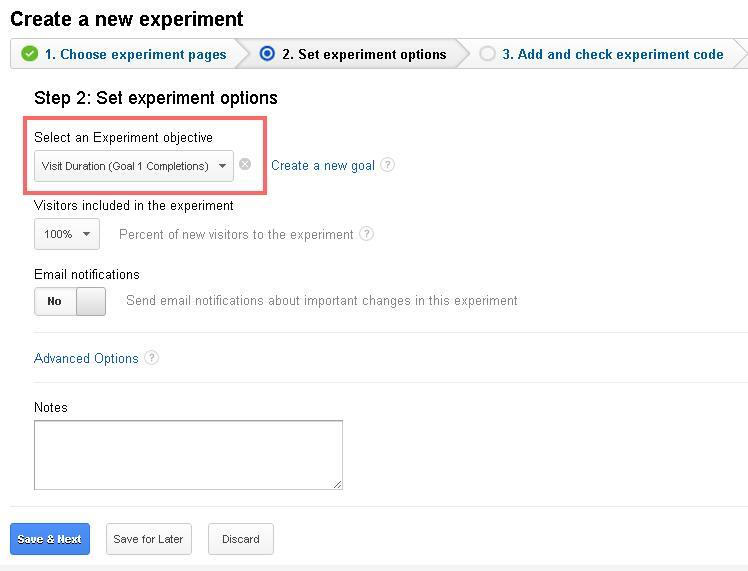 Also you can choose the percentage of your new visitors that you want to include in the experiment. You can leave this on 100% since Google adjusts the visitor flow according to the performance of each site automatically. Set your original URL as well as your variation(s). 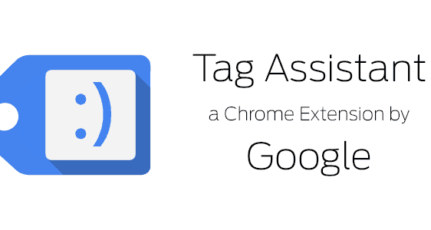 When you reach the next step, Google will give you an experiment code that you need to insert directly after the <head>-tag on your original site. You can insert the code yourself, or send it to your webmaster to insert it for you. 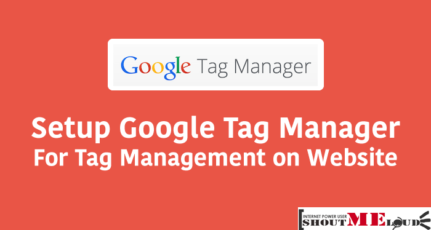 Google will then test if your code is inserted correctly and if it is working properly. 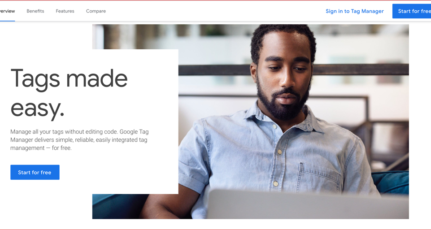 If you haven’t inserted your Google Analytics tracking code in your website, Google will give you an error at this point. In order to track do the A/B test you need to have the Google Analytics tracking code inserted already. Once everything is checked and approved you will see the review of your experiment. You A/B split test will run 2 weeks minimum and up to 3 months maximum. You can keep track on the results and the latest status in your Google Analytics account. When ever you are going for a complete site redesign or setting up a Squeeze page, it’s always a good idea to perform a split test to see which design converts better. This may be time consuming but it’s worth giving a shot, as your conversion will likely to increase with a better performing Page. Web Conversion optimization Basics : What you need to know? How many of you work on Split testing using Google analytics to check the effectiveness of your design and for improved conversion? If you find this DIY tutorial, do share it on Facebook and Google plus. My name is Stefanie and I am currently studying Business Administration and working for a web agency where I am responsible for different SEO tasks. Additionally I'm running my own projects. Online marketing and especially SEO is my passion and I enjoy talking and writing about it. Integrating my general passion for marketing with my particular field of interest let me discover new angles on SEO and how to successfully integrate it in all sort of online marketing efforts. I learnt about A/B testing first time through your article. I am also going to test it. 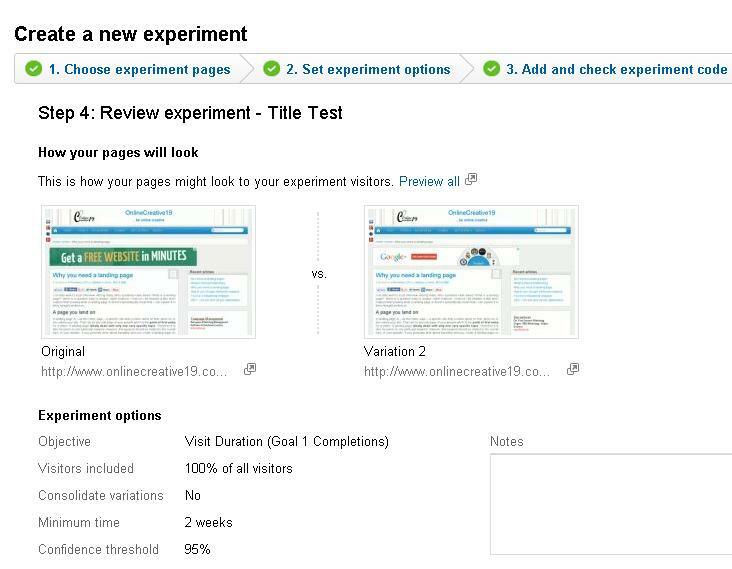 Thanks for the good post on A/B split testing. I always thought that split testing matters only for those who used advertised with Google Adwords. I have Google Analytic tracking in my blog but didn’t make it a point to explore the A/B feature. I am going to make use of this cool feature to improve my site traffic. I was so amazed myself when I found out how to use A/B split testing with GA. As you see, it really inspired me to share my amazement.